The 2BD antenna is born. I still need to develop some more tests but in the meantime I want to share some details in case you are interested and want to build yours. Here we go. With all this in mind I started to plan what kiind of antenna I could build by myself. Then I started thinking to find alternatives. Let’s see the main ones I thought. 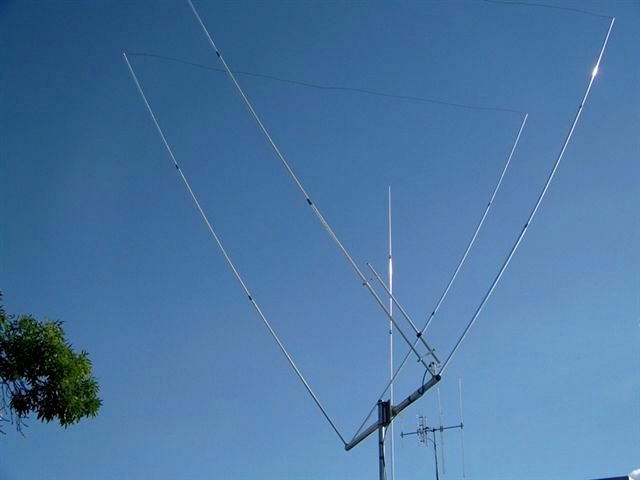 Idea A) I could install a modification of a 2 element wire yagi placing the elements inverted vee as for sketch A. 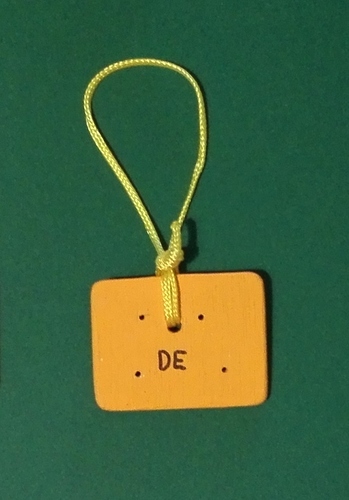 This is used by operators on Field day events. 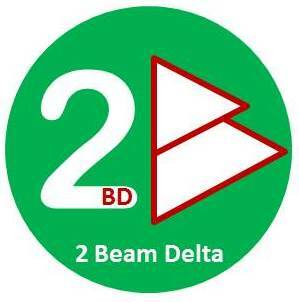 Idea B) A 2 element wire moxon was evaluated because it is a bit more compact in size. I checked feasibility of installing inverted vee, as for the case A. See sketch B. Idea C) A 2 element delta loop was also in the list, as shown in sketch C.
Although all these ideas were basically valid, I didn’t like the long spacer (boom) on top of the pole, where the diameter is the weakest part of this support. I wanted a more equilibrated system. Having this long spacer on top would add weight and most probably the pole would bent; this would be even worse in case of high wind. This desing wouldn’t be possible for me on a mountain top, but I the decided to find something different with the two Deltas. Their performance has a good reputation: low noise, some gain over a dipole and they work well at low height over ground. I understood this could modify the performance in many ways, affecting to Impedance, Gain and radiation pattern., but the concept was interesting and I decided to try a number of models in a simulation software (Mmana) to compare and optimize its dimensions. Let me show the evolution of the model until I reached my preferred version. I proceeded trial and error, following many steps. 1.) 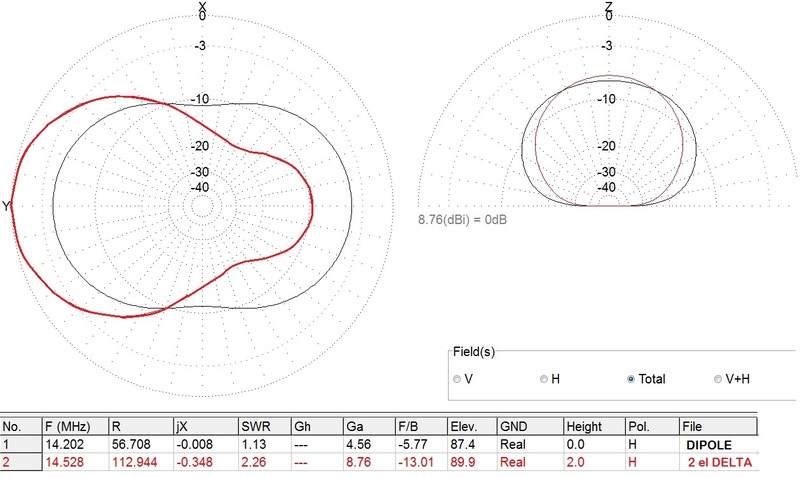 Simulation of a reference dipole inverted vee up at 9 m above ground. Target: to find the optimum distance between two parallel loops to get the best Gain and pattern over the reference Dipole. A standar yagi has the Driven element cut to the desired resonant frequency and the Reflector about 5% bigger in size. The space between both elements is about 0,15 to 0,25 wavelength. I ran several models with the space varying between 4 and 6 meters. Difference in performance was small and I decided to choose a space of 4 meters between the loops. Resonance was at 14.500 MHz (I should increase the Loop size in the next model…). 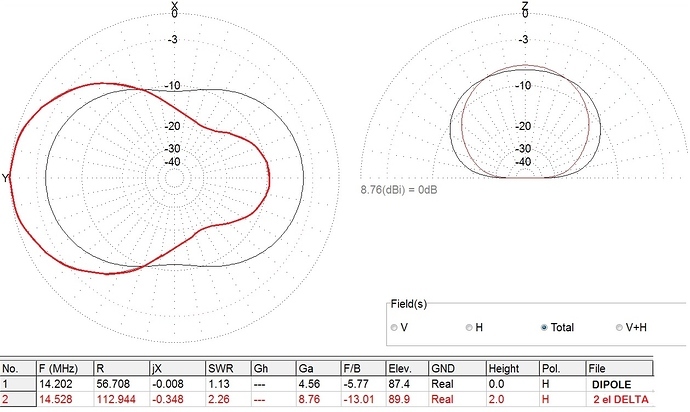 The resulting impedance was the one expected for a Delta loop, Z=113 ohm. Feed point was in the top appex, that is the best point to avoid weight that pulls and deform the Delta wire. 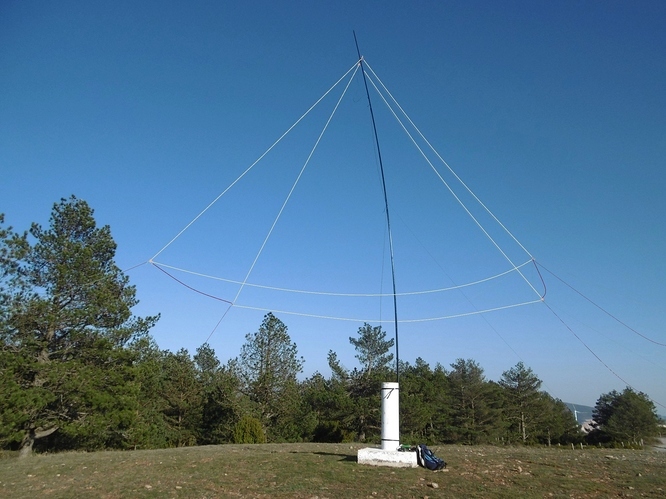 The results were promising: 4,2 dBd at 30º elevation (8,76 dBi – 4,56 dBi = 4,2 dBd) and the tipical pattern of a beam antenna! 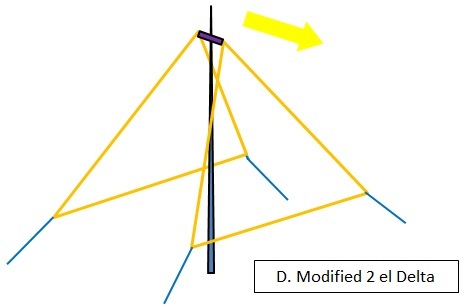 Target: to check if moving both appex towards the holding pole would affect the results. I displaced both points to simulate my design, according to sketch D, having a space of 20 cm between both appex. 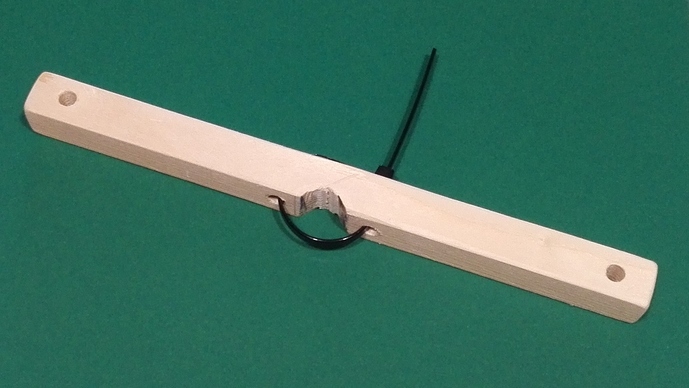 The effect of bending the loops had a very positive effect on the impedance; now the model had 46 ohm! With this change I could feed the antenna using standard 50 ohm coaxial cable. In the other hand, the gain was quite stable; only a small reduction of gain was produced at very low angles, that is, a negligible reduction of 0,2 dBd at 5º elevation. By changing the shape factor now the gain would increase about 1 dBd at low angles , not bad. 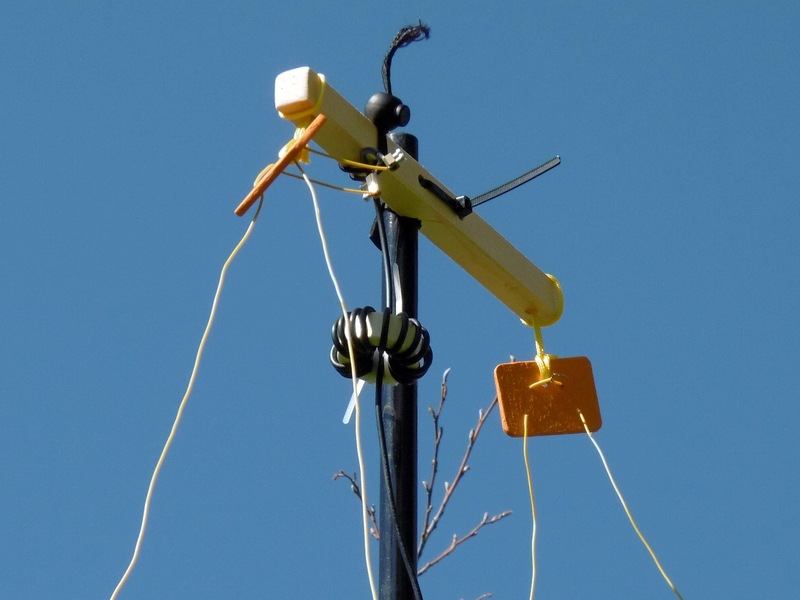 It sounds well, but in praxis, it is not realistic having these long horizontal wires straight , because their weight make the wire bends towards ground and we don’t have a triangle anymore, decreasing the overall height over ground of the resulting antenna. Therefore I decided to stay with model nr. “3 “ and build a prototype. First I cut the wire elements at home. A tough work to deploy and measure that in my small apartment! 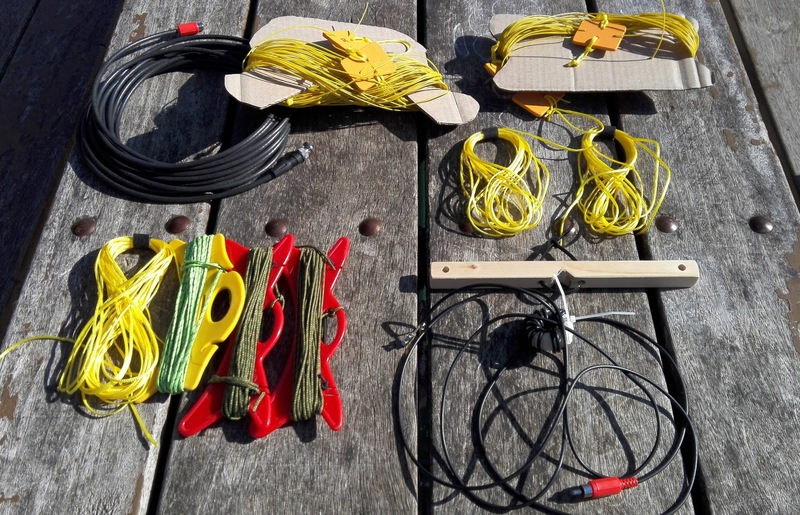 I used a very lightweight but strong wire from Sotabeams (thanks Richard and crew, it is not easy to find a cable like this one). I cut the initial loop lenghts a bit longer as I expected I would need to trim the dimensions to get the right resonance of them; I preferred to be safe and don’t start with a resonant frequency higher than 14.350 MHz. Initial Reflector loop perimeter: 23,60 m. Remember I will trim these lengths later to fine tune resonance. See result on the Test chapter (IV). I designed a small plate to hold the guying cords in the corners of the Deltas. Note the small holes for the antenna wire passing through and the 2 yellow cords to tie the ground and spacer cords. Note the holes for antenna wire and the top short cord to hold it from the boom. After testing the antenna now I’m ready to add a connector for the coaxial cable. I will use a RCA that is light and ok for low power. As explained, the impedance is near 50 ohms. I decided to add a choke near the feed point. I prepared it by winding 15 turns of RG-174 (small diameter) on a toroid Ferroxcube TX36/23/15 - 4C65 (similar to Amidon material 61). 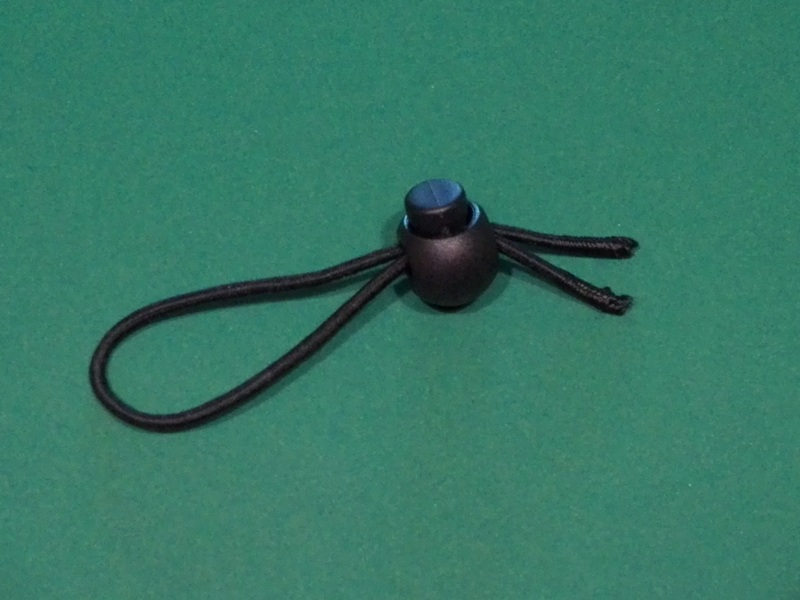 The length of this coax is about 2 meter long with the choke near the feeder. Then I added another 7 meter of RG-58/U to extend it downwards along the pole. Looks like a lot of parts but I keep anyone in its own zip bag and it is easy to install it. First trial of the antenna was fine, the antenna analyzer was happy with the antenna, producing a deep resonant valley at 13.130 MHz. 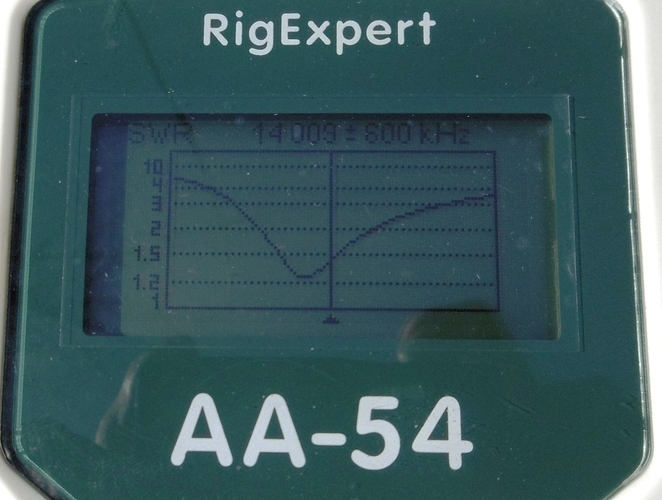 I knew that would happen… SWR was 1:2, so the impedance was confirmed to be all right! Reflector loop perimeter: 22,30 m.
Well, it is rewarding when you have an idea, you make a real model and see that it works. When you are done and see that beatiful shape on air without falling down you feel relief and satisfaction. Now it is time to do some more testing and comparison in future activations. 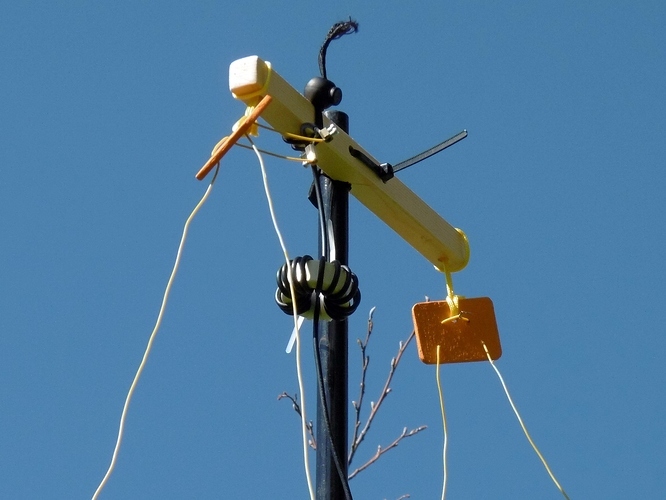 I know it is not a multiband antenna and that it requires some more time to set up on a summit, but is is an antenna to be used in special events or even in some Field day contests. A variant for another band can be done easily. Please let me know if you copy my design and make a replica. That would be just perfect. I think I’ll send this article to some amateur magazines, it does worth sharing interesting ideas. A very interesting read Ignacio. I ran loops at home for some time with very good results. Wish you well with your testing, and should have one built myself for testing in the summer months. I love Deltaloops. I allways have he impression, they give a calm noise and they are not as bitchy sensitive than beams made with dipols. There are plugable plastic pipes for laying cables. (16mm for example). Have you already experimented with it? I could imagine that you get a stable structure with it. 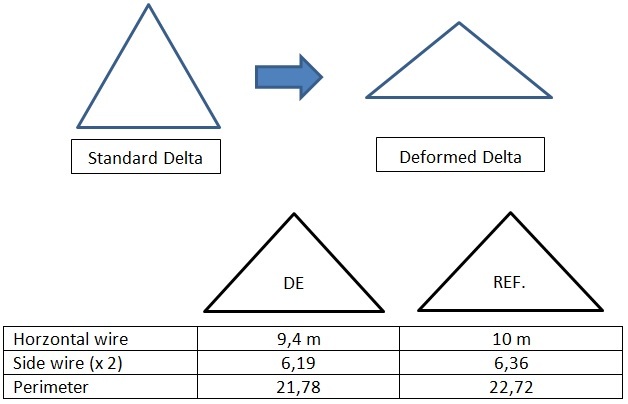 Maybe you could use it to construct the bottom of the delta triangle and the antenna would be rotatable. Now we just need to contact you at SOTA. Very inspiring article Ignacio. I love to read further more when you do some field comparing with different antennas. Keep up the good work and yes, the article is for sure interesting to spread. Thanks for your comments, glad you find interesting the article. Have you already experimented with it? Hi Armin, yes, I know such pipes for cables. That would help if the antenna was for higher bands where dimensions were reduced. For 14 MHz they would weight too much, I think, to keep the horizontal wires straight, but thanks for the idea. That’s the key point, nowadays the antenna is still light to be carried to summits. Would be possible to expand it with 40m by adding a 40m trap in the bottom wire ?